Before the Minister gets down to this green paper, she may wish take a walk in the veritable woodland of documents on New Zealand children that we already have. For starters, there is the Public Health Advisory Committee’s Best Start in Life: Achieving effective action on child health and wellbeing which sets out how we could do better for our children in Aotearoa New Zealand. Then there is the New Zealand Children’s Social Health Monitor 2010 update which suggests our ‘current social safety nets may be inadequately protecting many of our children from severe or significant hardship. This results in increases in hospital admissions for socio-economically sensitive medical conditions’, e.g. rheumatic fever. Then we can start on all the literature from the Families Commission, the Commissioner for Children, the Dunedin Multidisciplinary Health and Development Study, and the Christchurch Health and Development Study. There is the OECD work showing that ‘New Zealand needs to take a stronger focus on child poverty’, and ‘government spending on young children is less than half the OECD average.’ We could add UNICEF NZ‘s suggestion that we introduce ‘Child Impact Assessments to ensure children are not negatively affected and that their rights are protected in any new or amended legislation.’ If all this is not enough, our Minister could study the Child Poverty Action Group’s continuous stream of evidence going back to 1994 on the wellbeing of our children. She should be busy. While some of us get to luxuriate in the abolition of gift duties, others of us get to go without because of the new definition of ‘family scheme income’, which came into force on 1 April. The Child Poverty Action Group states the new definition will count regular gifts of money from other family members when calculating Working for Families, Student Allowances, and the Community Services Card entitlements. “For example, ‘regular transfers …totalling $5,001 means $1,000 loss of Working for Families tax credits.’ This makes it much harder for family members to provide regular support, e.g. paying electricity bills for a family member. But it will all be ok, because we now have wages 30% behind Australia’s so we will be able to attract capital. Our Minister of Finance is reported as saying this is a good thing as we will get more business. More business using low paid labour equals more people in low paid jobs demanding cheap goods and services so we are all able to buy,...ummm, more cheap, poor quality imports? Not so sure about the low wage good idea. While our citizens wait to get reap the spinoffs from our low wage economy, it appears we are not engaging in big time benefit fraud. In a report that received very little publicity, the Auditor General records that “only a small proportion of [benefit]overpayment debt results from fraud.” Sadly, this is not the impression we get from the public discourse. Whichever way we look at it, it does appear we increasingly have polices designed for the poorer to be poorer [so they will have an incentive to work harder], and the wealthier to be wealthier [so they will have an incentive to work harder]. Rapid legislation tends to bypass and therefore undermine the democratic process. It often results in bad law. On the ‘very fast track’ was the Canterbury Earthquake Recovery legislation which has given a phenomenal amount of power to the new Canterbury Earthquake Recovery Authority (Cera). Cera can take control of Councils it considers are failing on reconstruction work. The Recovery Minister and Cera's CEO can order demolitions, requisition land, and get information from any source they wish for recovery work. There were select committee hearings in Christchurch and Wellington for the legislation. However the invited groups like Kai Tahu, the Canterbury District Health Board (CDHB), CanCERN organisation, and the New Zealand Law Society among others, were given less than 24 hour's notice to prepare. Not surprisingly, CanCERN wants community "engagement" rather than just consultation. Group patron Dean Peter Beck is more explicit, and is reported as saying people would "revolt" if they are not included. Further along the fast track, the Government has fast-tracked its proposals to deal with child abuse. The Crimes Amendment Bill (No 2) will create a new offence for failing to protect a child or vulnerable adult, knowing they were at risk, which would have a maximum penalty of 10 years' imprisonment. A number of organisations have expressed concern about the bill. The NZ Nurses Organisation commented that unless we “address issues such as child poverty, the violence caused by alcohol abuse, the widening gap between rich and poor in this country, and the growing number of people who feel excluded or alienated from participating in our society, then little will change for our most vulnerable citizens." The National Network of Stopping Violence (Te Kupenga) is also concerned saying “strengthening the law was welcome but the proposed changes unfairly penalised women who stayed with abusive partners.” There are all sorts of reasons why women do stay. Plunket also has reservations. They say we “need to be looking at the wider determinants of child abuse including poverty, unemployment, family violence, alcohol use, drug abuse, and stress for families”. We all need to look at “how we can support families to care for and raise their children safely [and] protect our most vulnerable citizens from abuse”. NZCCSS members are recommended to apply to the new Family Centre Services Fund if it is appropriate for them. Government is reorganising family violence funding. Funding for the Te Rito Collaborative Community Family Violence Prevention programme has gone, and so has funding for the Advocates for Children and Young People Who Witness Family Violence programme. The new contestable fund is to enable family violence service providers and provider collectives to respond to individuals, families and whānau experiencing family violence. 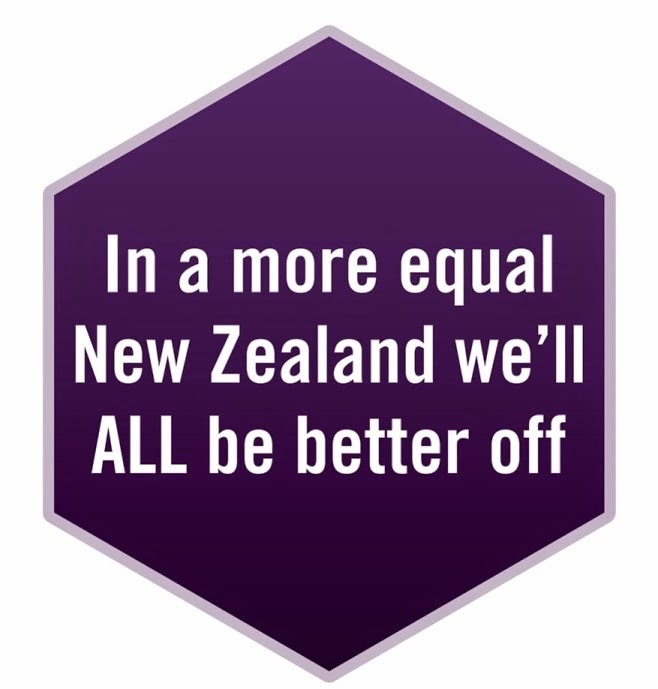 All family violence service providers, collectives of providers and related agencies working in the family violence field are eligible to apply to the Fund which can be used to: Deliver direct services to family and whānau that restore safety and wellbeing; help families and whānau to access any additional services that they need; reduce service fragmentation, duplication etc. ; support effective, innovative and joined up approaches to the co-ordination of family violence responses. Workshop on UN Convention on the Rights of the Child invitation: Join with Action for Child and Youth Aotearoa (ACYA) in examining New Zealand’s progress on the UN Convention on the Rights of the Child. The plan is to draw up plans for follow up, monitoring and priorities for advocacy. Saturday, 7 May, St Barnabas Church, Mt Eden. Registrations to judith.mcm@xtra.co.nz (subject line: ACYA workshop) by 29 April. Victory Village Forum: Nelson July 27-29th A collaboration between Inspiring Communities, Families Commission and Victory Community Centre. This is an inaugural national forum on family-led and community-centered approaches, click here for more info. Community Waikato wants a community advisor. If you have exceptional competence as a facilitator, are a community development practitioner, a strategic thinker who is able to work in participative and facilitative ways with community organisations, then this could be for you. Find advertisement here. Find job description here. Opportunity to support the Child Poverty Action Group: Pink Batts® is celebrating its 50th anniversary by donating $50,000 to six charities, one of which is CPAG. The share that each charity gets depends on people playing the Pink Batts® online game show and nominating one particular charity. We suggest nominating the Child Poverty Action Group because reducing child poverty is one of the most effective things we can do to improve our country’s wellbeing. NZCCSS wishes everyone a very happy Easter!